As part of the design team, Hitchcock Design Group provided schematic design through construction administration services for the planting design of the entire site. 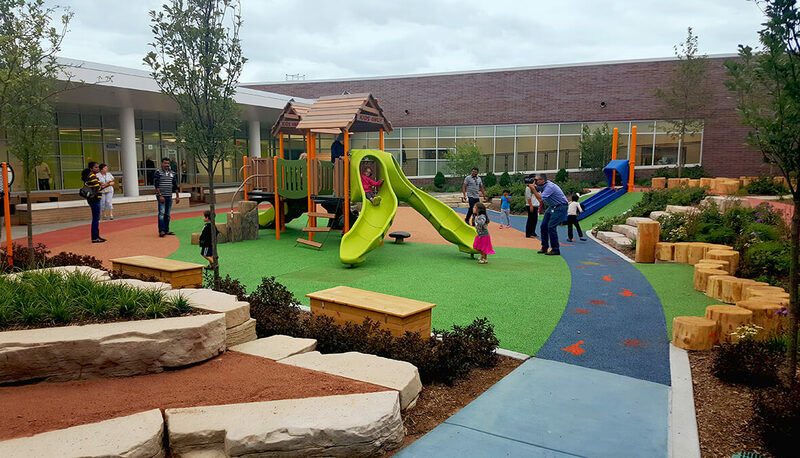 Additionally, the team also provided design services for four custom specifically themed outdoor learning and play courtyards located on the campus. 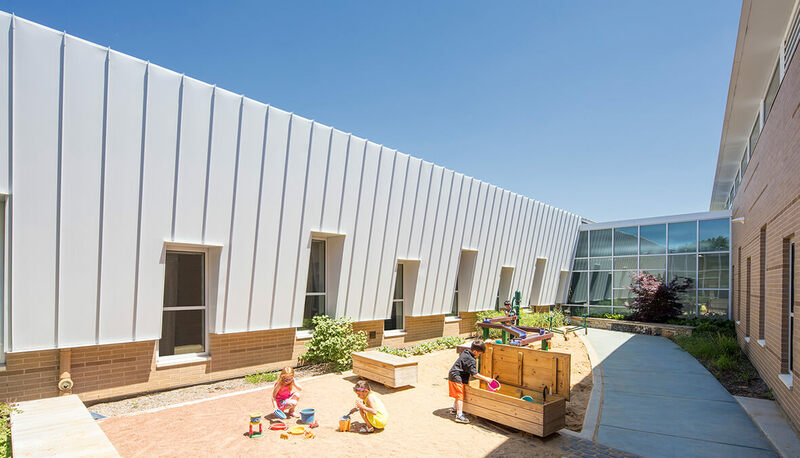 The courtyards are focused on developing gross motor skills through play, enhancing sensory interactions, educating students about nature and the fine arts. 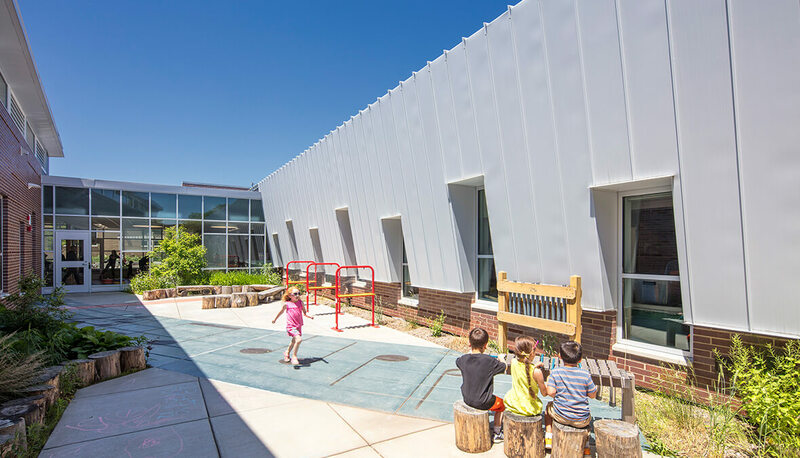 Each courtyard contains a collection of active and passive activity spaces to engage young learner’s senses of wonder, exploration, imagination and creativity. 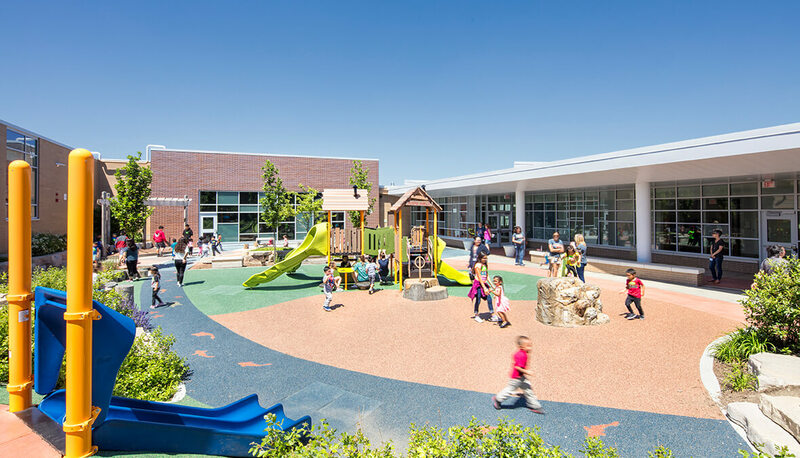 Playhouses, stages, water and sand play, music and art areas, pathways, play equipment and garden areas all provide teachers with the ability to bring instruction and play outside. 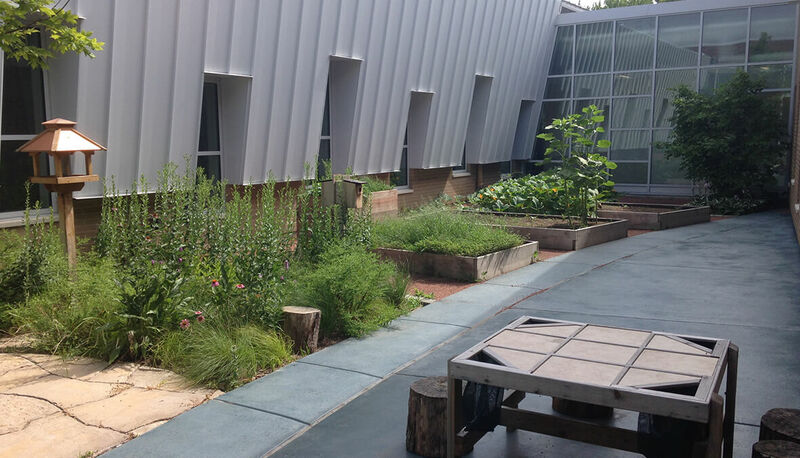 The spaces also give educators areas to conduct music, dance and acting performances, explore nature, by growing and experiencing plants and animals first-hand, and to develop confidence and improve motor skills in challenging, yet accessible and safe environments.